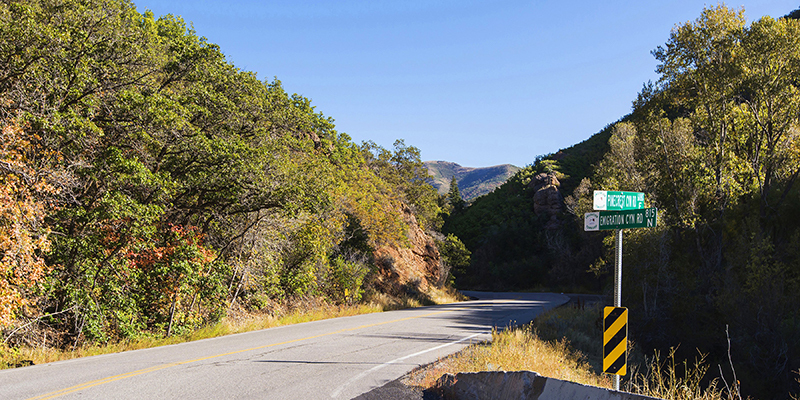 Emigration Canyon Road is an 8 mile stretch of smooth asphalt from the canyon mouth to Little Mountain summit. 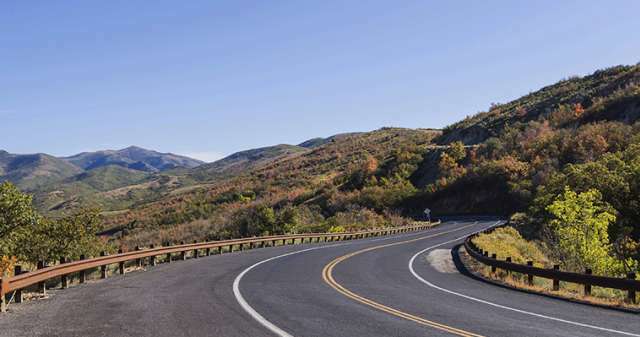 Normally this is a road meant to access the many homes that dot the canyon or as a shortcut to from Salt Lake City to Parley&apos;s Canyon and Park City beyond. 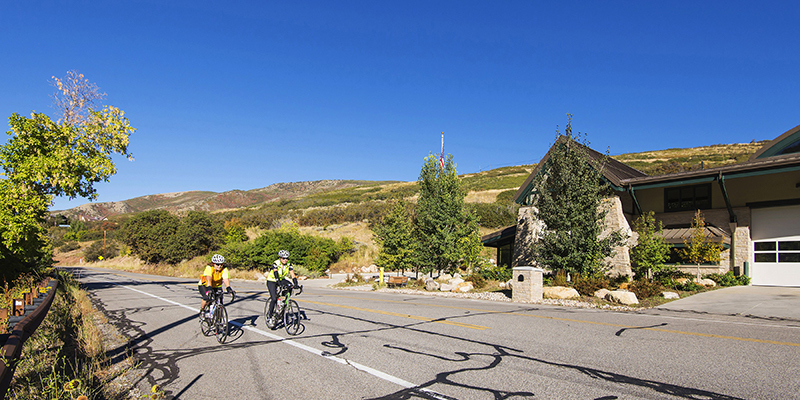 Road bike enthusiasts, however, think of Emigration Canyon as an ideal place to go for a ride. Located near downtown and the University of Utah, it is close enough to begin your ride right from home, work, or school. The road has just a slight but steady incline for the first 6 miles, which is essentially a warm up for the final 2 miles that have a much steeper grade. 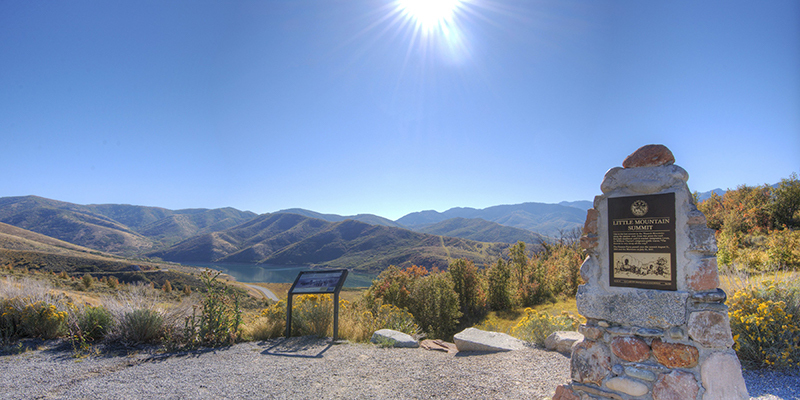 Most people turn around at the summit of Little Mountain, but you can continue on toward Parley&apos;s Canyon, passing by Little Dell and East Dell Reservoirs. 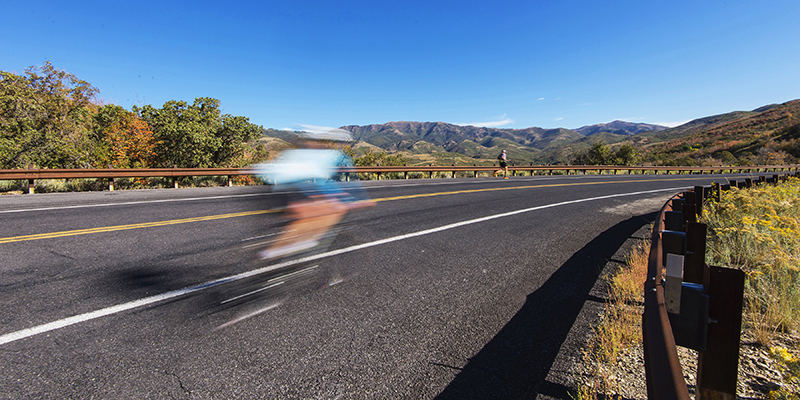 People get some serious speed coming down from Little Mountain, so make sure you stay within your skill level and keep and eye out for the steady auto traffic and rocks in the road. 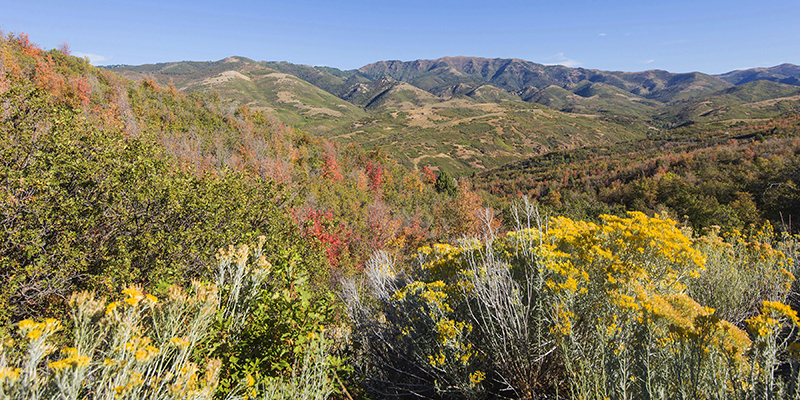 The fall is a great time to visit, the colors are really great in Emigration Canyon, and the cooler temperatures are quite nice for the challenging climb. In the winter many people escape the city inversion by coming up this canyon searching for fresh air. 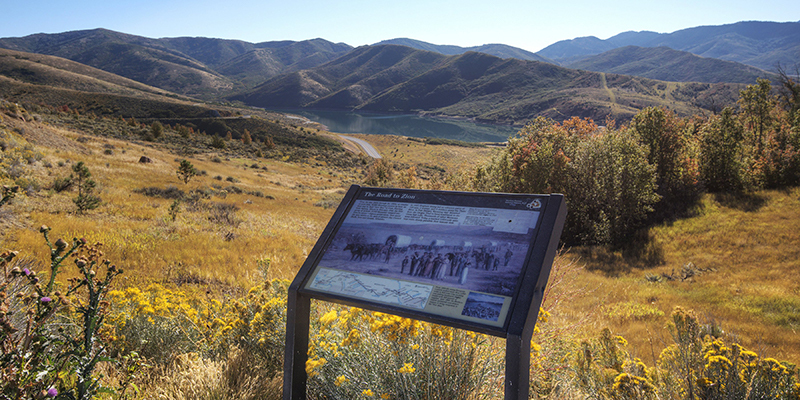 Little Mountain Summit also has a historic marker celebrating the early pioneer settlers of Salt Lake City who emigrated into the valley for the first time using this route.